This was an exciting two-part trip for us: Oxford, England and Barcelona. While we had been to Oxford previously, this time we weren’t visiting purely as tourists. We were visiting our son who was attending Keble College, one of Oxford University’s 38 colleges. After landing in Heathrow and a 45 minute drive to Oxford, we arrived at our home for a few days, the Old Parsonage Hotel. This small, luxury hotel was not only located in the heart of Oxford, but is a truly lovely get-away. A bit on the pricey side, we nonetheless highly recommend a stay here if visiting Oxford. The hotel also has a restaurant with a very nice courtyard for outdoor drinks or dining if weather permits. Oxford is the oldest university in the English-speaking world, dating to the 11th century, and has produced 26 British Prime Ministers and 27 Nobel laureates. The moment you set foot in Oxford and witness the architecture, you know this is a unique and very special place. 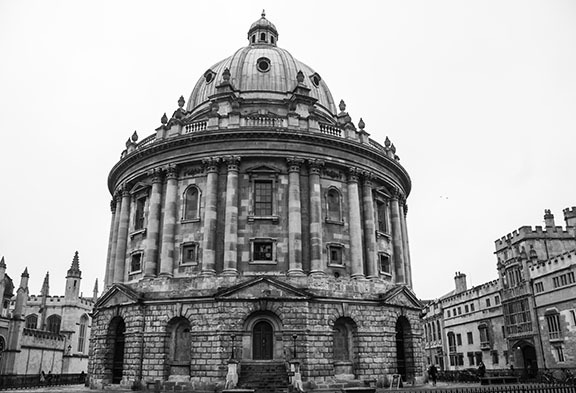 Don’t miss the Radcliffe Camera, an ornate octagonal library/reading room in central Oxford. If you have time, visit Christ Church College to get a sense of the important role Oxford has played in British imperialism. Keble College is one of the larger and newer colleges at Oxford. It houses 410 undergrads and 250 grad students, and was founded in the latter part of the 19th century. It features unique brick architecture, a lovely central green (common to most colleges) and a truly Hogwartsian dining hall. Students must wear proper gowns for dinner, there is the prayer in Latin sung by a choir, professors wear full gowns, and the hall is filled with portraits of notable faculty. No wonder the producers of Harry Potter unsuccessfully sought out this hall for their movie shots. Across the street from Keble College is the Oxford University Museum of Natural History, and the adjacent Pitt Rivers Museum. The unique Pitt Rivers museum houses archaeological and ethnographic objects from all over the world. The Natural History Museum itself has great history — in 1860 is was the site of the famous Great Debate over Charles Darwin’s Origin of the Species between Sir Thomas Huxley and Samuel Wilberforce. Admission is free. It is truly a must see. Another must see (or rather, must do) are the many ancient and historical pubs of Oxford. One such notable pub is the Turf Tavern, more than 600 years old and, among other things, the site where Bill Clinton allegedly smoked but did not inhale (sure). With a pint of local brew, you quickly sense the ambience that is so special at Oxford. A bit more touristy, but no less special, is the Eagle and The Child, where JRR Tolkien wrote the Hobbit, and held weekly alcohol induced sessions with CS Lewis and others. It’s crowded, but really would be a shame to miss. Across the street, the Lamb and the Flag is another Oxford mainstay. There, you can enjoy a pint by the fireplace and know that you’re beer bill is funding the education of students at St. John’s College, which owns the great pub. In Barcelona, we were fortunate to rent a very cool flat in the medieval Barri Gotic section. This is a great place to stroll and check out little shops and restaurants, and not far from Las Ramblas (the tree-lined pedestrian mall) and the very famous, must see market, the Boqueria. 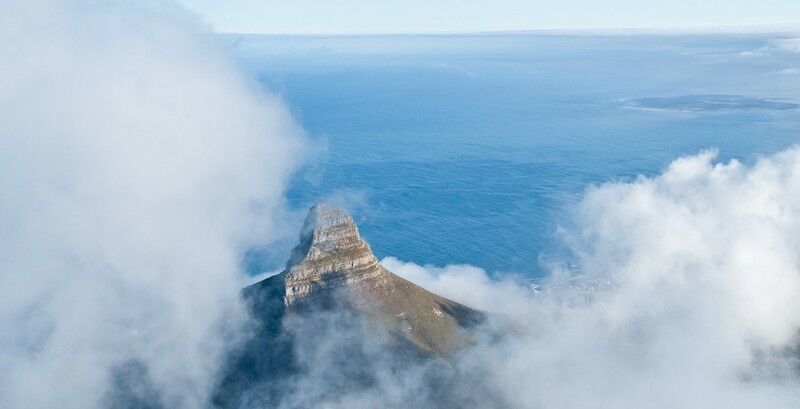 Truly one of the best markets in the world. Our tour of the city included a visit to the Jardi Botanic, a small botanical garden next to the former Olympia Stadium, used for the 1992 Summer Olympic Games. Enjoy a nice walk through the garden and around the well-maintained stadium on a sunny day. Also worth a visit, the Museu Picasso houses one of the most extensive collections of artworks by Pablo Picasso. If you love the work of Picasso, you’ll love this museum and the adjoining medieval palaces that house the artwork. We also recommend checking out La Pedrera, also known as Casa Mila, a modernist building designed by Antoni Gaudi. The admission price is a bit high but the building is so unique, particularly the roof, you might want to consider splurging. Be sure not to miss La Sagrada Familia, Gaudi’s masterpiece, a very large Roman Catholic church. The architecture is amazing – there is nothing like it in the world. By far this is the number 1 thing to see/do in a city full of things to do. Honestly there are so many great restaurants it would be hard to go wrong. We look forward to returning to this special city.